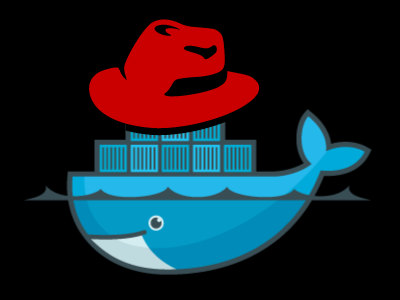 It’s not often that you see this combination of backers, but today, Microsoft, Red Hat, IBM, Docker, Mesosphere, CoreOS and SaltStack all banded together to support Google’s open-source Kubernetes project for managing Docker containers. Docker containers are quickly becoming the go-to technology for building and running distributed applications. Every major cloud vendor has gotten behind the Docker project over the last few months and Docker.io itself recently raised $15 million in a Series B round to continue expanding its services around the platform. Despite all of this support, managing Docker containers can still be a hassle at times, so a month ago, Google launched the Kubernetes project based on its work with containers in its own massive data centers. All of them will actively contribute to the projects. “Each company brings unique strengths, and together we will ensure that Kubernetes is a strong and open container management framework for any application and in any environment – whether in a private, public or hybrid cloud,” Google senior VP Urs Hölzle said in the announcement today. The idea behind containers is that developers can more easily deploy and scale their applications on different servers and in different clouds, so Microsoft — or Microsoft Open Technologies, to be precise — promises that it will support Kubernetes in Linux environments on its Azure platform. Microsoft will also work on supporting libswarm, a separate Docker-backed project, for composing network services on Azure, too. Docker itself will work on aligning libswarm with the Kubernetes framework. MesoSphere, CoreOS and SaltStack will work on integrating Kubernetes with their own technologies. MesoSphere, which started supporting Docker late last year, will work on bringing its scheduling and management capabilities to Kubernetes customers, for example. As the CoreOS team tells me, Kubernetes already uses the CoreOS’s etcd key value store that forms the backbone of CoreOS’s clusters. Overall, this seems like great news for the Docker project. Everybody on this list of Kubernetes backers was already supporting Docker in some form before, but getting this group of companies together to collaborate in the Docker ecosystem can only help its adoption (and may spell trouble for other virtualization technologies in the long run).